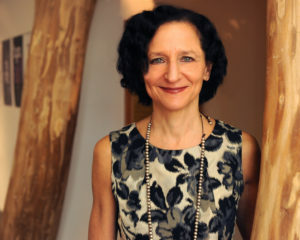 Dr. Sara Diamond has directed the Ontario College of Art and Design (OCAD) University to become a leader in digital media, design research and curriculum through various program and tactic introductions as President, one of which was the Digital Features Initiative, involving new research and sustainable technologies for the digital design programs at the University. She also played a crucial role in establishing OCAD’s Indigenous Visual Culture program. Diamond holds an Honour’s Bachelor of Arts in History and Communications from Simon Fraser University, a Master’s in Digital Media Theory from the University of the Arts London and a PhD in Computing, Information Technology and Engineering from the University of East London. Her research focuses on data visualization, wearable technology and mobile media, and she is an active artist, designer and scientist. She brings her vast knowledge of technology and fuses her love of science and art to her role at OCAD University. Diamond’s artwork is housed in prestigious collections including that of the Museum of Modern Art in New York City and the National Gallery of Canada. Diamond serves on the boards of Baycrest, ORION, Ontario’s high-speed network, Women in Communications and Technology, and i-Canada. She is also the Chair of the Scotiabank Nuit Blanche Toronto Advisory Committee and holds various other leadership positions.